TinyTalk is for toddlers too. 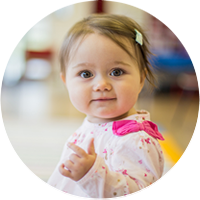 Our quality classes continue to develop your child's communication skills whilst you're having a brilliant time together. It's the TinyTalk you love, but more physical and interactive to suit developing minds. Toddlers are not meant to sit still!